The next BROADWAY UNPLUGGED features the fabulous grand finalists of the inaugural ‘PROJECT X’ competition. BROADWAY UNPLUGGED supports the musical theatre industry and provides a platform for performers to do what they do best - perform in a supportive environment. The night is comprised of two segments – in the first, 6 grand finalists (see below) battle it out in BROADWAY UNPLUGGED and AussieTheatre's ‘Project X’ to win a fully produced, solo show. The finalists have been selected after six months of heats by online voters on AussieTheatre.com. This is followed by ‘open-mic’. BROADWAY UNPLUGGED believes that Australia has an industry that is rich with talent and aims to support those working in the music theatre industry. It was launched in June 2012 in Sydney and Brisbane and quickly became one of the industry’s favourite nights out. 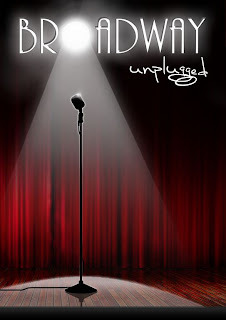 BROADWAY UNPLUGGED aims to provide a platform for current artists and the artists of tomorrow.